MOOC stands for Massive Open Online Courses. 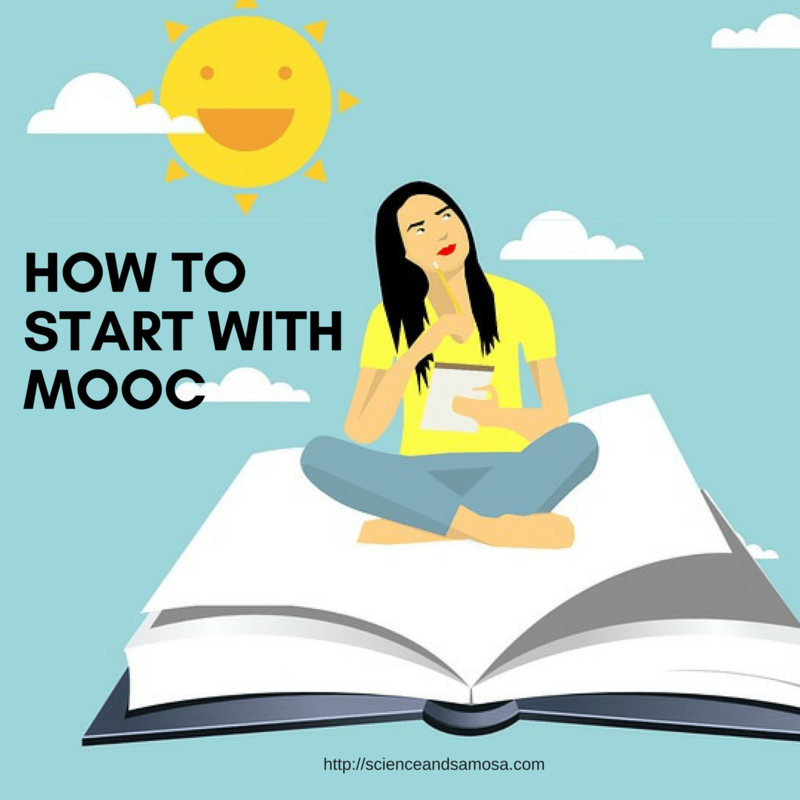 You could attend from the comfort of your house classes offered by elite colleges like Stanford, Oxford, or get trained by subject experts and that also for free or for a nominal cost….. that’s MOOC explained in a line. MOOC was introduced in 2008 and since emerged as a popular mode of learning. They offer large number of students the opportunity to study high quality courses online with prestigious universities, often at no cost. They are ideal for independent study and students can select courses from any institution offering them. They offer video lectures and provide interaction through peer review and group collaboration or automated feedback through objective, online assessments (including quizzes and exams). Over the years many MOOC platforms have come up. Let me list out for you the top 3. Coursera currently has 25 million registered learners and partners with 149 universities across 29 countries. Coursera now offers around 2,150 courses. Indeed a great collection. One could choose the desired course from 12 main categories namely Data science, Computer science, Personal development, Social science, IT, Business, Languages, Arts and Humanities, Life sciences and Math and Logic. In addition to single courses, Coursera also offers its own Specialization, and also offers fully-online Masters degrees. I must admit Coursera is my favorite. MicroMasters certificate – MicroMasters Programs are credit-eligible, provide in-demand knowledge and may be applied to accelerate a Master’s Degree. Professional Certificate – Professional Certificates develop the proficiency and expertise that employers are looking for with specialized training and professional education. X series Certificate – XSeries are designed to provide a deep understanding of key subjects through a series of courses. Unlike Coursera and edX, Udacity’s main partners are corporates like Google, Facebook, Amazon, and IBM Watson. Udacity offers lot many courses free, compared to above two. Its specialization course is called nanodegree. Udacity goes ahead to guarantee that those who purchase a Nanodegree Plus program will find a job within next six months. Currently they offer nanodegree in Digital marketing, Web development, Artificial Intelligence, Data science etc. Wow this is great! Never knew that these courses or MOOC would be so helpful! I will surely spread this word! This is totally great idea to upgrade qualification anytime. MOOC journey seems very helpful. I have done few courses from Coursera: and absolutely loved it. Thanks for sharing other options. Very informative post on online courses to help mama’s come back into the professional world. I can relate it to these courses since I too took the same route ! MOOC seems to be doing a great job of helping women find a feet after becoming moms too. 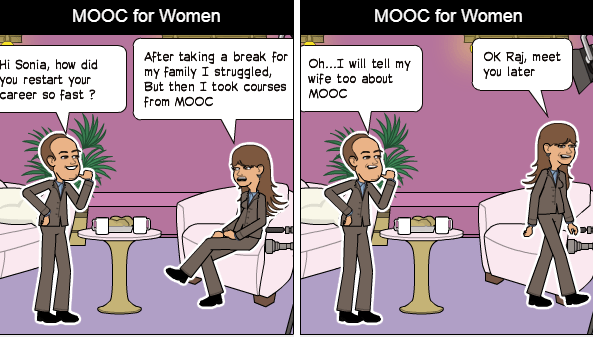 MOOC looks like a great way to help women catch up with building their dream career once again. Sure a helpful post for all the ambitious women out there! Love to know that MOOC would be so helpful. Its a very innovative and helpful post. very informative post on MOCC, helpful for women. MOOC is new thing to me .. Thanks for sharing the info..